And, here's something fun circulating on Facebook. Some spooky fun! I like the last image. 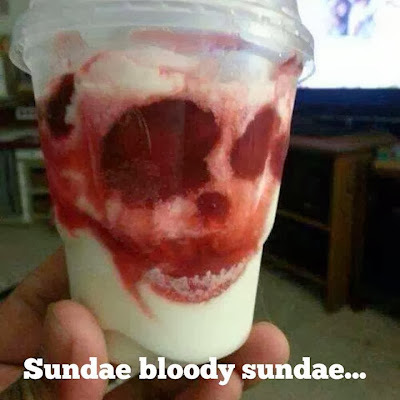 That bloody sundae is bloody impressive! Well these are brilliant all of them I particularly like the second & third one heheh! 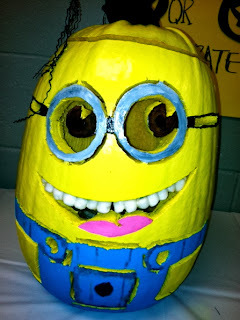 The minion is wicked cool, but I have to say that the one barfing is AWESOME!!! Halloween fun for sure Joyce! The second pumpkin decoration is so beautiful. 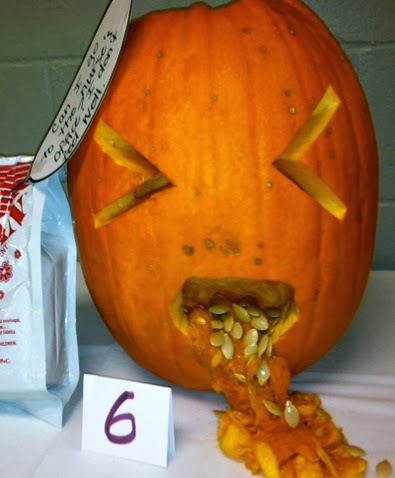 Happy Halloween and thanks for hosting. These are great--I love the Cinderella one! My son was dying to do the vomiting pumpkin! That's funny! OH! I LOVE that minion one! So cute! cool pumpkins, and wowzers on the sundea! I bet they couldn't repeat that if they tried. Darn creative people! I such at pumpkin carving, but I do adore all 3 of those! The pumpkin carriage is pretty neat! 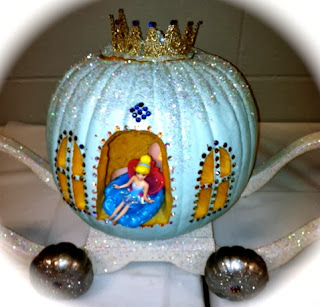 Pretty sure my girls might actually kill to get the Cinderella pumpkin. amazing. I just carved a Minion in one of my pumpkins tonight! Not so easy Martha. You lie!! Believe it or not, my favorite was the Cinderella carriage. Wonderful pumpkins. That last picture is AWESOME! I've never seen anything like it!